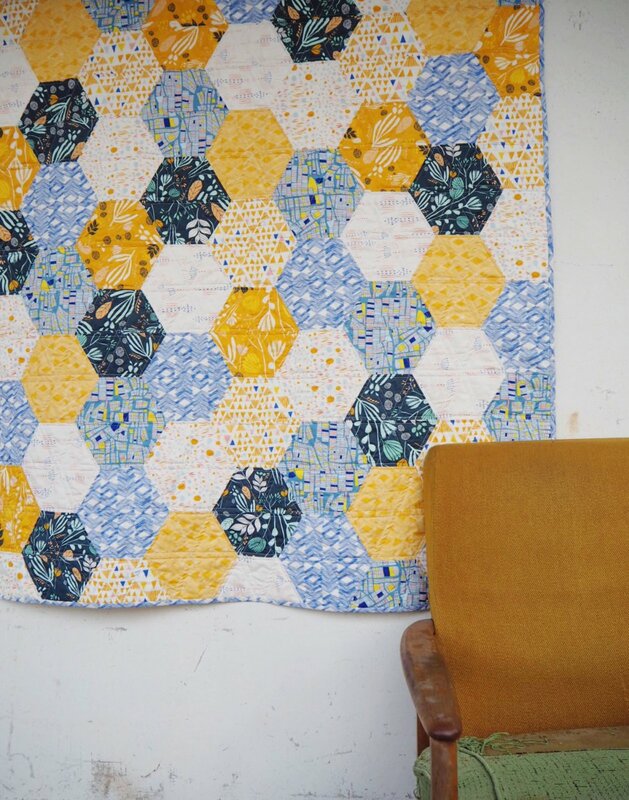 This gorgeous and fun quilt features some of our favourite Art Gallery and Leah Duncan fabrics. Using a 60 degree triangle ruler, create this quilt which is perfect for that special little one in your life to use on their bed or even better as a play mat. Approx size: 51" x 62"